Want to save your Tweets? A few months back, Twitter has added an option that allows users to take backup of their Twitter Archive. But there is a nice tool Twdocs that backup tweets better than an official tool. Twdocs is a free online that allows users to backup tweets as PDF, TXT, HTML, DOC, XML, XLS and CSV formats. You can use any file format to take backup of your tweets. 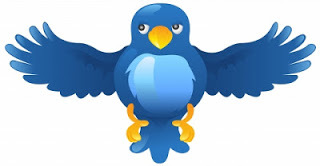 Twdocs not only take backup of tweets but it also takes backup of direct messages mentions and favorite tweets. These are the main things which you want to backup. 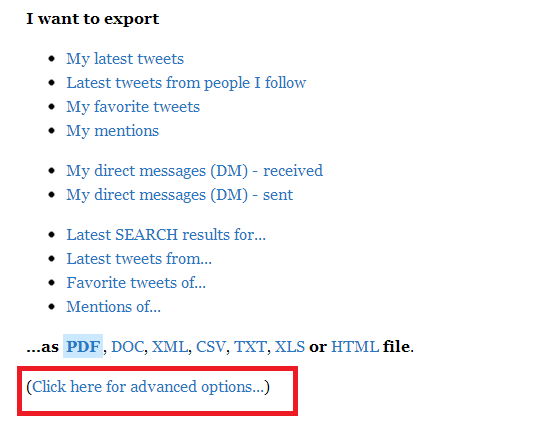 You can select any of these options and then enter a number of tweets you want to export. If you want to use advanced options, select advanced options at the below of the list. 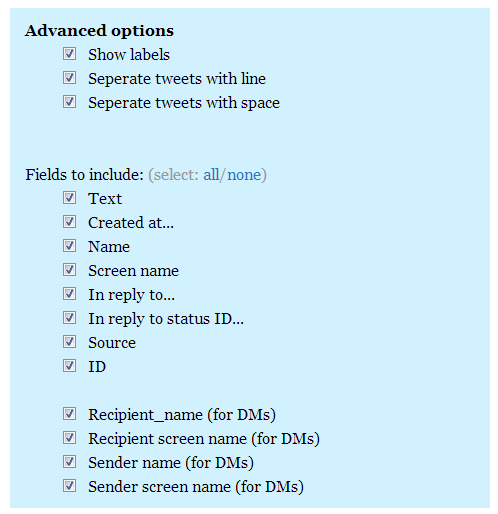 In the advanced option, you can select various options to customize the backup of tweet file. After selecting all the desired options, click on Go button. Then authorize the app to access your Twitter account. After authorizing the app, your backup file is ready to download. This file will be available only for 5 minutes. After 5 minutes, the file will be removed from the server. The app is really nice and fast. In just a few clicks, your Twitter tweets will be ready to download. Try the service once and share your views about this tool with us via comments. In case you need something like this to download your Twitter tweets, you can try Twdocs. If you find this article useful, you can share it with your friends.